Navigating the little details is one of the most important parts of RVing. Whether it’s packing, everyday necessities, or overnight accommodations, things are different when you’re traveling in an RV. One of those things will be your appliances. On the road, you’ll find you’re relying on non-traditional sources of energy to run traditional appliances. You won’t want to give up the convenience of your appliances, but finding ones that will work for you in an RV can be a challenge. What Kind Of Refrigerator Is Right For My RV? 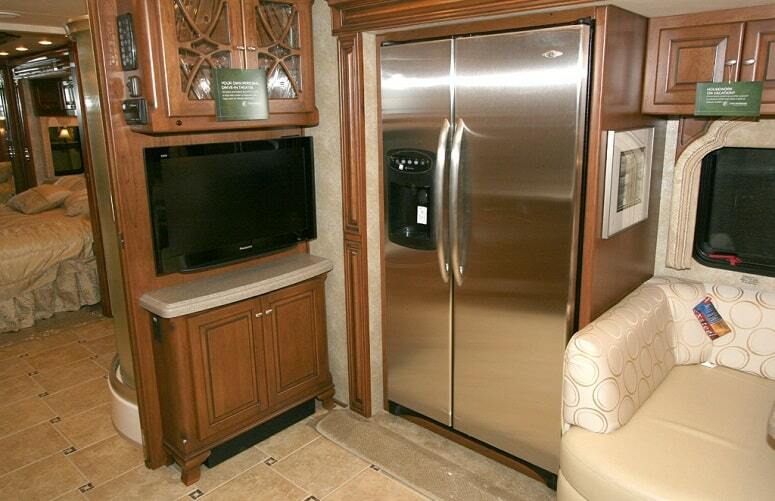 When it comes to your RV’s refrigerator, you’ll need something that fits the space and functions well. You’ll probably be looking at a smaller unit. Space will be at a premium and you’ll want your items to stay cool wherever you’re traveling. You have a few options to choose from. What works best for you will depend on what appliances you need to run, how frequently you run them, and the kind of traveling you plan to do. Will you be mostly off-grid? If so, propane and solar power will both be great options for you to consider. Solar power can be a great energy source for your refrigerator. It does come with its own set of challenges, though. Many of your solar power questions will be straightforward and deal with exposure to the sun. Propane, on the other hand, can be a little more complicated. 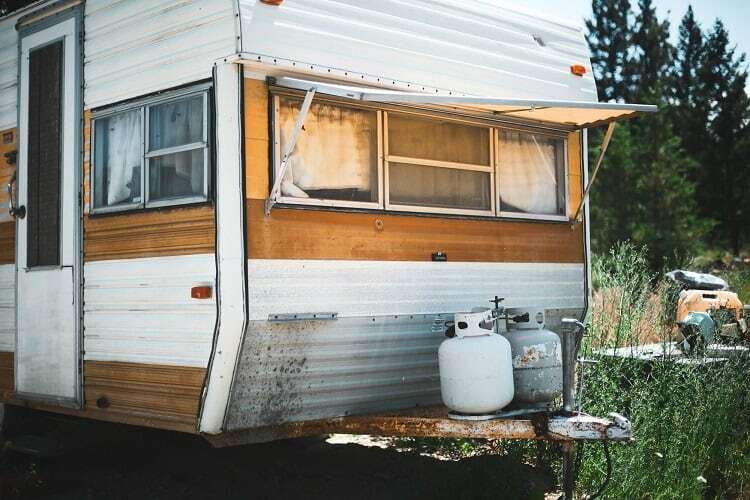 If you’re using propane as a power source for the first time, you may have some questions about the logistics of traveling with propane-based appliances. Wondering why you might choose propane over electricity when it comes to your RV’s appliances? There are a few compelling reasons you might want to go with propane. Gas is more readily available at rental sites. Gas enables you to run your refrigerator, even when you aren’t docked. Refrigerators cool more quickly when powered by propane. If you’ve been vacillating between appliance types, take a good look at how you travel and what works best for you. 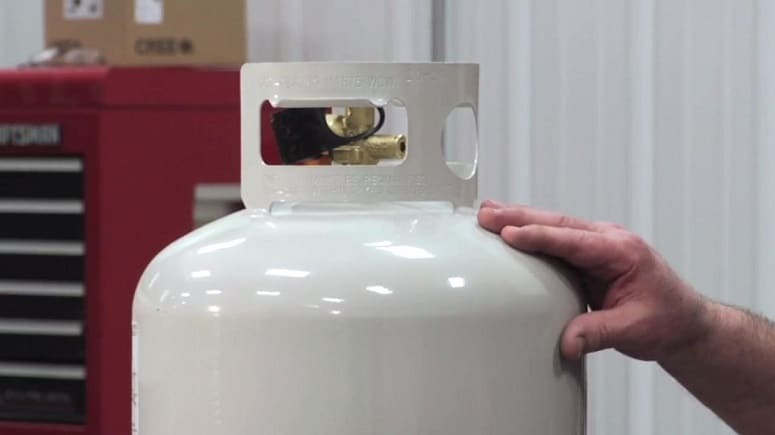 How Does Propane Work In A Refrigerator? 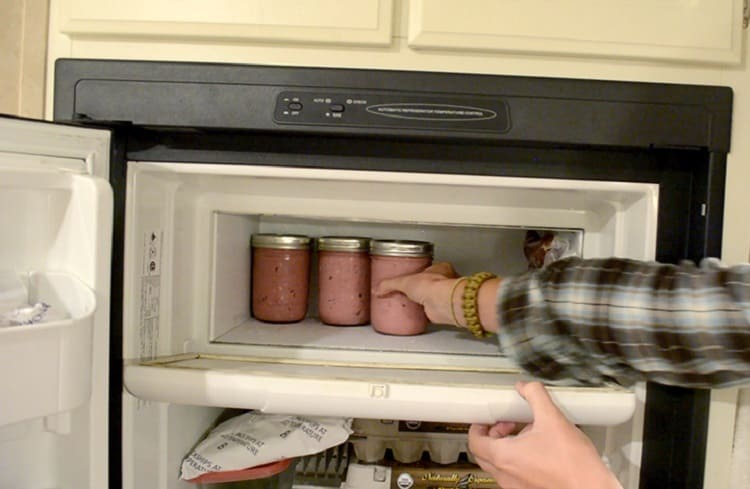 You’re probably familiar with electrical refrigerators. 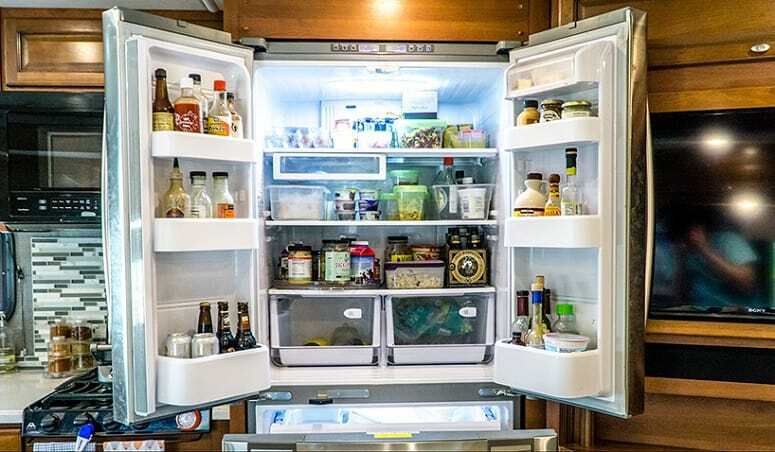 You plug your refrigerator into an outlet and the refrigerator cools by using electricity and coolant to keep the interior of your fridge (and all the items housed inside) cold. You’re also likely familiar with propane. It’s a kind of gas placed in cans and used as fuel. Maybe you’ve even used it with a portable grill. However, you may not be familiar with propane as an energy source for refrigerators. While the electrical refrigerator uses coolant, propane refrigerators rely on a chemical reaction that allows cooling to take place. That reaction is initiated by the flame provided by the propane gas. A network of conduits, containing water, ammonia, and hydrogen gas, work together to keep the refrigerator cold. The propane flame heats the water and ammonia until the solution boils, allowing the ammonia gas to rise to another chamber. It cools back into a liquid and moves to the evaporator, where it meets the hydrogen gas. The chemical reaction that takes place when ammonia and hydrogen gas meet will absorb any heat. This is the process used to cool the refrigerator. As the heat is absorbed, the ammonia becomes gas once more. The water, hydrogen gas, and ammonia gas meet again. The water and ammonia create that same solution and send the hydrogen gas back through the network. The cycle begins again, allowing for constant cooling. Are Propane Refrigerators Safe To Use? Propane refrigerators are reliable, quiet, and long-lasting. They can be a great option for keeping your food cold while you’re on the road. Like any other piece of equipment, though, propane refrigerators need to be maintained. While propane refrigerators can last a long time, a defect in the system could lead to excess carbon monoxide. Left unchecked and without proper ventilation, carbon monoxide can lead to carbon monoxide poisonings and deaths. The great news is the required maintenance on a propane refrigerator is minimal, and service shops can help you with this. As an extra safety measure, you should invest in a carbon monoxide detector. These are affordable and effective. As carbon monoxide is colorless and odorless, it’s always good to have a detector and to be familiar with the signs of carbon monoxide poisoning. 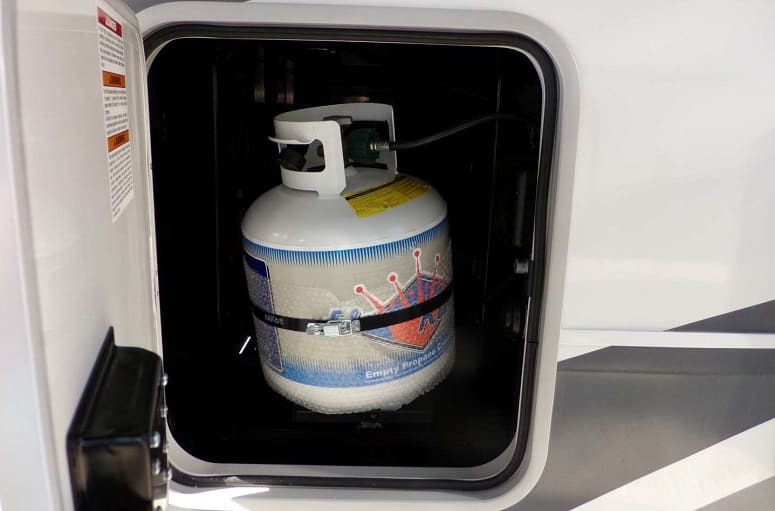 Propane refrigerators can be a great addition to your RV or trailer. You’ll love how cool your refrigerator gets and that you can use the refrigerator whether or not you have access to hookups. 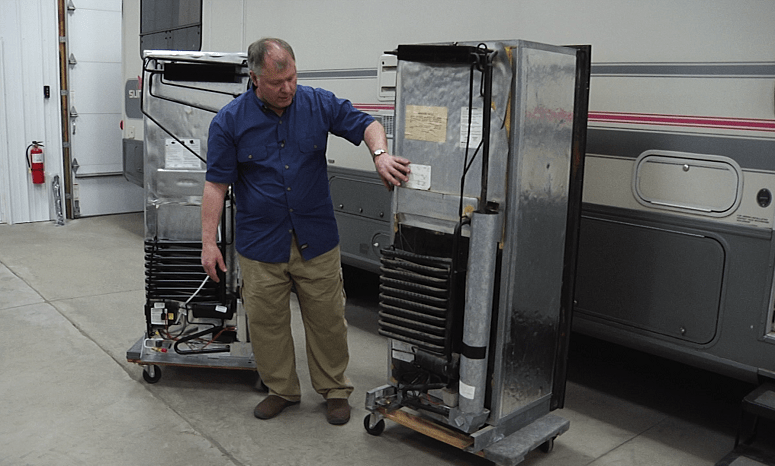 There are some things to consider while traveling with your propane refrigerator, though. For a propane refrigerator to be on and working, the propane must be ignited. This means you have an open flame on board your RV. While on the road, there are many factors you are not in control of. Driving with the refrigerator’s flame lit means you are accepting the inherent risk that goes along with that flame. You should consider every contingency—an accident, a malfunction, or something else that compromises your refrigerator—and weigh whether the outcome is worth leaving your refrigerator on while traveling. What Do The Risks Include? An accident that causes unnoticed damage to the internal mechanisms of the refrigerator. An electrical refrigerator works the same, regardless of where it’s located. Because a propane refrigerator works differently, optimal performance will happen when located on a level surface. This is unlikely to happen while you’re on the road and dirving. This means you may be going through propane more quickly than necessary, while also failing to properly cool your food. Should You Use Your Propane Refrigerator While Driving? Whether or not you allow your propane refrigerator to run while driving is going to come down to what you’re comfortable with. While not every propane refrigerator comes with a directive to use (or not use) the propane refrigerator while driving, some do come with the explicit warning not to use while driving. Weigh the benefits of driving with the propane refrigerator on with the potential negative outcomes. I would venture to say—while unlikely something would happen—the fact that something could happen and be catastrophic would have me turning off my propane refrigerator every time I hit the road. Not using your propane refrigerator during your journey doesn’t need to be the end of the world. All you need is a little strategy and you can still have the foods you crave while on the road. Leaving the door closed will trap in the cool air. It won’t last forever, but if you’re only doing a couple of hours of driving, you can expect your food to stay cool enough during the trip. This will be the most important thing to remember when planning around your propane refrigerator. Buy only what you need, and plan to use up most of your groceries before hitting the road and heading for home. You’ll have less waste this way—especially if you have long drives on the docket. Schedule your route ahead of time. Take advantage of local attractions and rest breaks. While parked, go ahead and turn on your propane refrigerator for a little cooling session. Stopping frequently will allow you to get the most out of your trip—and also the most out of your groceries in the refrigerator. So the next time you rule out stopping to see the country’s largest ball of yarn, reconsider. Choosing to drive with your propane refrigerator running anyway? It’s important to remember that law dictates all gas appliances must be turned off before pulling into a gas station. You will need to make sure to pull over and extinguish your flame prior to arriving at the gas station. Plan on turning your propane refrigerator back on after filling up? You’ll need to exit the gas station and find another place to pull over, turn it on, and then get back on the road. At the end of the day, you’ll probably determine it’s more trouble than it’s really worth. Between the risk and the inconvenience, driving without the propane refrigerator running is clearly the way to go. Ready to take the plunge and pick up the new propane refrigerator you’ve been coveting? We hope this article had the information you were looking for to make an informed decision. Have an experience with a propane refrigerator you want to share? Tell us all about it in the comment section below—especially if we’ve missed something important everyone will want to know. And please share the article, so others can benefit from the information.